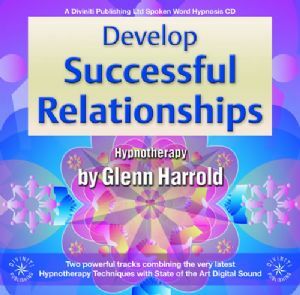 Create more loving and harmonious relationships with this superb high quality hypnosis CD by Glenn Harrold. If you are looking for your perfect partner or aiming to build more success in current relationships, this CD is for you. Hypnotherapy is uniquely effective in helping you to re-programme your mind to overcome self-doubt and anxiety and develop a new self confidence in a safe and natural way, free of any harmful side effects. This high quality CD will help the listener develop harmonious relationships with partners, friends, family and even in business. On both of the two hypnotherapy sessions you will hear a pleasant voice and absorbing 60 bpm sound effects guiding you into a deeply relaxed state of mental and physical relaxation. In this very receptive relaxed state, you will be given a number of post hypnotic suggestions and carefully layered affirmations to help you focus on improving both individual and general relationships in every area of your life. Track 2 also includes an unconditional love visualisation. The background echoed affirmations pan from left to right in your headphones. This deeply relaxing method of delivering multiple suggestions simultaneously to the unconscious mind can facilitate positive changes very quickly. At the end of each track you will be gently brought back to full waking consciousness with a combination of suggestion and music. There are also a number of positive subliminal suggestions (listed on the inside cover) that are embedded in the fade out music and facilitate the overall effect. 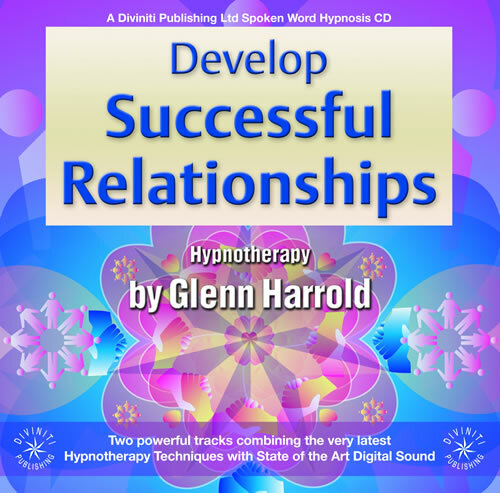 This powerful CD is a completely safe and very effective way of helping you developing loving harmonious relationships.